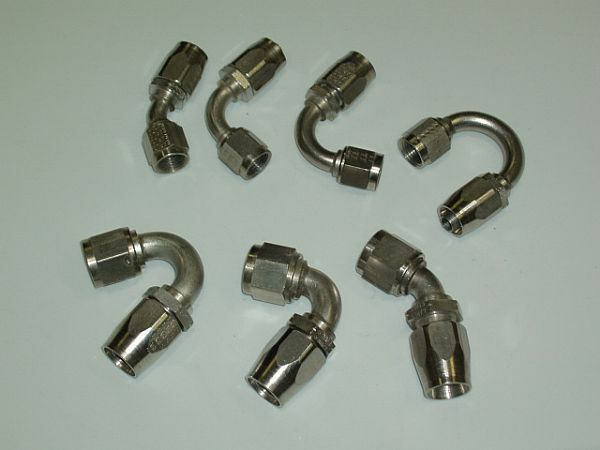 Listed below are Surplus Earls Stainless steel non swivel Hose Ends for Stainless Braided Neoprene Hose. We have -6 in stock with various angles, but this will be Subject to Stock on Hand at time of order. Ideal for Marine Application or where you want to have S/S.